Everybody digs Bill Evans, the pianist who changed the face of the piano trio in jazz with his Sunday at the Village Vanguard (Riverside Records, 1961) and Waltz for Debby (Riverside Records, 1961). These were the albums that brought a then unheard of level of interaction between the pianist and his trio mates, bassist Scott LaFaro and drummer Paul Motian. Things haven't been the same since. There are countless piano trios that have been influenced by that groundbreaking group. 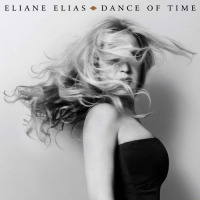 Pianist/vocalist Eliane Elias, growing up in her native Brazil, absorbed the sounds of that famous Evans trio. Returning to Blue Note Records after a seven year absence from the label, the artist offers up a heartfelt tribute to Evans with Something for You. It's to Elias' credit that she brings her own piano voice to the set. Rather than play like Bill Evans, she gets into his spirit, and has her own things to say. She has a more gregarious approach to songs he wrote, including "Waltz for Debby" and "Blue in Green," as well as those he was associated with like "My Foolish Heart" and "You and the Night and the Music." She is more given to brief sparkling flourishes, and injects more emotion into Evans' cerebral mode of play. Elias sings on six of the seventeen cuts. With a slight Portuguese accent and the occasional hush in the delivery, comparisons to Astrud Gilberto are inevitable. But Elias' voice is richer, more emotionally resonant, and is absolutely beguiling on "Minha" and "But Beautiful/Here's That Rainy Day." "Here Is Something For You," and "Evanesque" are previously unreleased Evans tunes discovered by bassist Marc Johnson (Elias' husband). Johnson was the bassist in the pianist's last trio and, just prior to his death in 1980, Evans had given him a cassette of things he was working on. Elias treats these classic Evans works with care, with "Evanesque," featuring some particularly searching piano work. Something For You is a gorgeous tribute to one of the giants of jazz piano. Track Listing: You and the Night and the Music; Here's Something for You; A Sleepin' Bee; But Not for Me; Waltz for Debby; Five; Blue in Green; Detour Ahead; Minha (All Mine); My Foolish Heart; But Beautiful/Here's That Rainy Day; I Love My Wife; For Nenette; Evanesque; Solar; After All; Here's Something for You (intro). 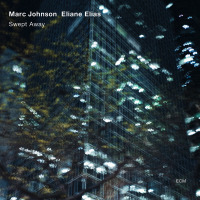 Personnel: Eliane Elias: piano, voice; Marc Johnson: bass; Joey Baron: drums.